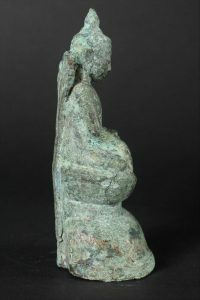 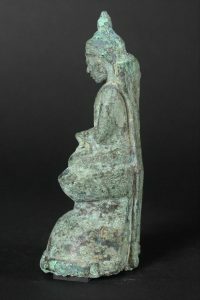 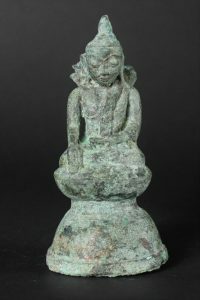 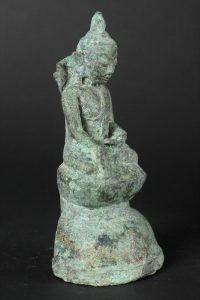 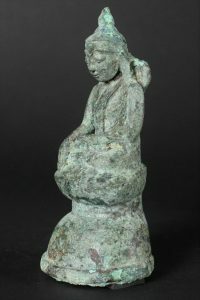 Excavated Bronze Burmese Ava period Shan 16/17th century Buddha on a high stylished double lotus throne. 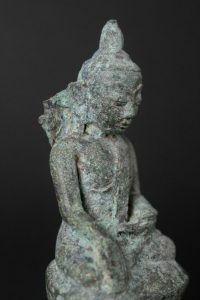 Bumisparsha mudra (subduing Mara) The top of aureool in the form of a symbolic tree or king cobra is missing. 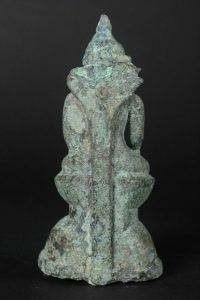 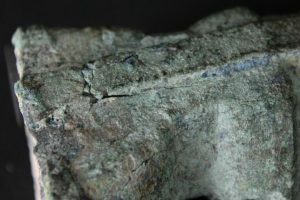 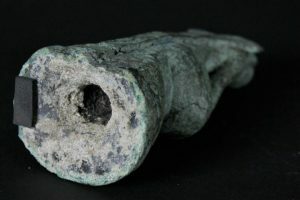 Very beautifull green patina. 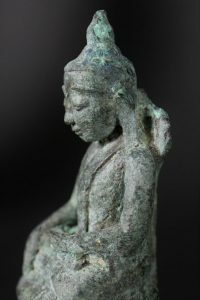 Serene expression.